Fauvistic landscapes. Learning to mix colors from primary colors. Clay Chubbie Buddies! 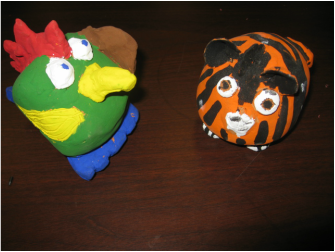 Learning the properties of clay and techniques to create a successful sculpture. 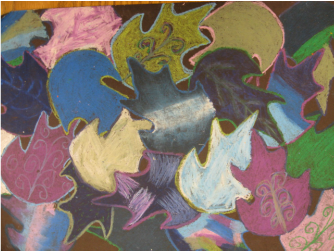 6th grade Leaf Abstract. 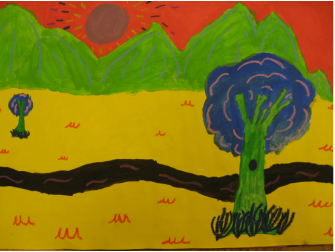 Learning how to blend oil pastels, while using warm or cool colors. 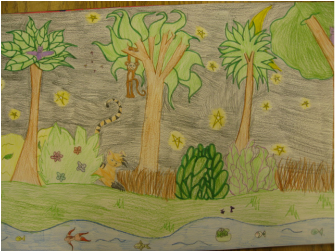 6th Henri Rousseau drawings. Learning how to illustrate pictures from a paragraph.